After a recent failed publicity stunt involving disgraced CNN and British journalist Piers Morgan, the public continues to question the so-called science behind vaccines. In a desperate attempt to demonstrate the “safety and effectiveness of the shot,” he received his very first influenza inoculation live on air from vaccine advocate Dr. Oz which consequently led to the development of Morgan’s flu-like symptoms that even he later attributed to the reception of the shot. There is now a spotlight on a common theme that continues to plague those who are vaccinated and it is contrary to what mainstream medicine has claimed for decades. The truth is, vaccines do not create immunity and do not protect humans from any disease, and recent evidence in cases of whooping cough, measles, and out breaks of chicken pox are adding arrows to the archery board of doubt when it comes to vaccine efficacy. Adam Salazar reported on the Infowars Website a detailed account of Morgan’s debacle which led to a subsequent interview on CNN questioning the effectiveness of the flu shot. 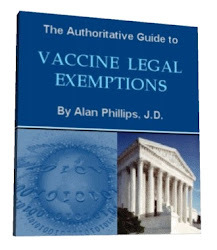 For your own reading pleasure, please review one of my recent articles that explains how the flu season is one big fabrication and plot by governments, deliberately causing illness to promote vaccinations. That may be a bit much for most people to take in, so if you’d like to stick to mainstream public opinion, then simply review what the CDC themselves admit about the flu vaccine. The flu is only one example. There are now thousands of children who are being brought into hospitals every week contracting diseases they were supposedly vaccinated against. Mashooq Ali Chohan told The Express Tribune that his two-year-old son, Shoukat Ali, was vaccinated one month ago but he contracted the virus five days ago. Similarly, another girl who was vaccinated three weeks ago also contracted the virus. The father claimed that five children have died from measles in their village in the past one month. There are several patients in Civil hospital who were earlier vaccinated but are still suffering from measles. Sukkur district health officer Dr Jay Ram Das confirmed that it is possible to contract the virus even after vaccination. According to official public health documents which ironically are not available to the public, hundreds of cases of measles over the last decade have had the full array of three MMR vaccinations. Data from the Vermont Department of Health (DOH) suggests that going through the pertussis vaccination regimen is not fixing the problem or warding off the highly contagious disease. If anything, it appears to be making it worse. 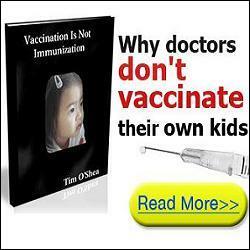 The cause could very well be due to multiple loads of toxins delivered through the DTaP vaccine which include, (but not limited to): formaldehyde, aluminum hydroxide, aluminum phosphate, thimerosal, and polysorbate 80. That means that every DTaP vaccine contains carcinogenic, neurotoxic, immunotoxic and sterility agents just like many of this year’s flu vaccines. These chemicals then bioaccumulate in the child with each successive vaccine, further introducing an additional load of toxins with each injection. In southern Italy, 44 contacts of hepatitis B virus carriers, including infants of carrier mothers, became HBsAg positive despite passive and active immunization according to standard protocols. In 32 of these vaccinated, infection was confirmed by the presence of additional markers of viral replication. With the polio vaccine, when the live-virus version called Oral Polio Vaccine (OPV) evolves, it can act like wild poliovirus and continue the threat of contagion. Over time, the vaccine can mutate, and even a 1 percent genomic change in the virus permits the virus to behave like a wild poliovirus. As a result, there is evidence of vaccine-derived polio cases in humans. Although the vaccines are officially causing paralysis, allegedly only 10-12 reported cases per year in the USA. The word ‘reported’ is the key word here. With the mass use of the polio vaccines and continuing occurrence of polio in the vaccinated, the necessity arose to redefine the disease polio. The classical definition of polio is a disease with residual paralysis which resolves within 2 months (usually within days). The new definition of polio now is ‘a disease with residual paralysis persisting for more than 60 days.’ This is the secret formula of ‘eradication’ of polio. Children are still getting polio, but those cases which resolve within 60 days (which represent some 90% of cases) are not diagnosed as polio. A new disease emerged: viral meningitis and as the incidence of polio plummeted, so did the incidence of viral meningitis sky rocketed. A five-year-old girl, vaccinated against chicken pox (varicella-zoster virus (VZV)) recently presented with clinical symptoms of the disease. Therefore the diagnosis of a breakthrough varicella disease with the vaccine strain was established. An immunodeficiency was ruled out. This case demonstrates that a child vaccinated against chicken pox does not exclude an infection with the vaccine strain. A county in the western part of Indiana is the site of the nation’s largest current chickenpox outbreak, according to news reports. An epidemiologist has confirmed that out of the cases analyzed, 97 percent of the children were vaccinated. The claim by public health officials is that 90% of children who are not vaccinated for chickenpox will get it by the time they are twelve. However, studies have demonstrated that the virus remains dormant in the body of those who are vaccinated and can become active again later on. Other studies show that the frequency and incidence are regardless of vaccination rates as those vaccinated still contract the virus and all its symptoms. A report from The New England Journal of Medicine concluded that an outbreak of chickenpox among a group of children in New Hampshire showed that the virus that causes chickenpox can be highly infectious even among those who have been vaccinated. The authors found no evidence that the vaccine worked at all. This observation led the authors to offer this damning conclusion that appears to render Gardasil nothing more than a grand medical hoax.